The first thing to consider before bring bamboo into your homeif you have a place that receives enough sunlight on a daily basis. Most bamboo plants will require at least six hours of direct sun per day. Some varieties are more shade tolerant than others, so be sure to choose the plant wisely. As a general rule of thumb, the more sunlight you can offer the plant the better. Watering your bamboo plant can actually be a tricky task. Bamboo is susceptible to damage from a range of bamboo pests all listed in the Pest Control Chicago blogpost, and over-watering, and most bamboo plants die this way. 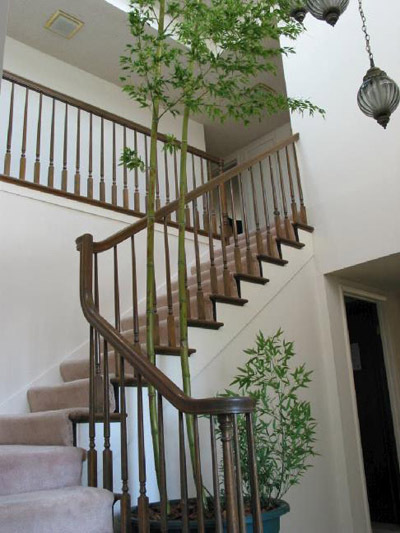 Many people maintaining bamboo in their home will see the plant losing its color and think that it is overwatering that is causing this, when in fact it is the exact opposite that is taking place. Make sure you are giving the plant the recommend amount of water, and no more. It is also a good idea to use a spray bottle to mist the plant on a daily basis. This will keep the plant humidified, which most bamboo plants require. Bamboo growing in a pot should be receiving high nitrogen fertilizer. The soil may be lacking the nutrients commonly found in nature, and fertilizer will solve this problem. You will need to re-pot your bamboo as it grows in size. The rhizomes grow rapidly and will completely fill the container over time. The frequency of repotting will vary among species, but a general inspection of the soil qualityshould be a sign of when the change is needed. It is important to use a container that widens that the top. The roots and rhizomes are sturdy and you will have a difficult time removing the plant in any other type of pottery.